Step 1. 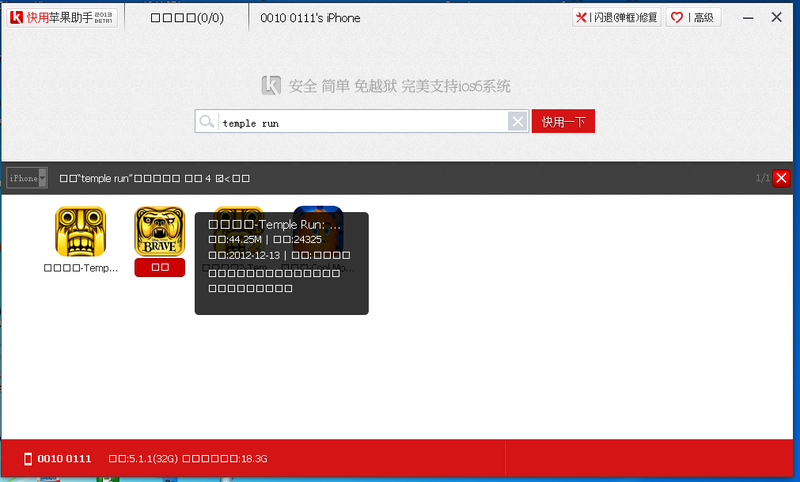 If done installing the Kuaiyong, Run the Kuaiyong on your desktop "Letter K with red Color" Dont worry the Language cause its Chinese just follow the instruction. Step 2. 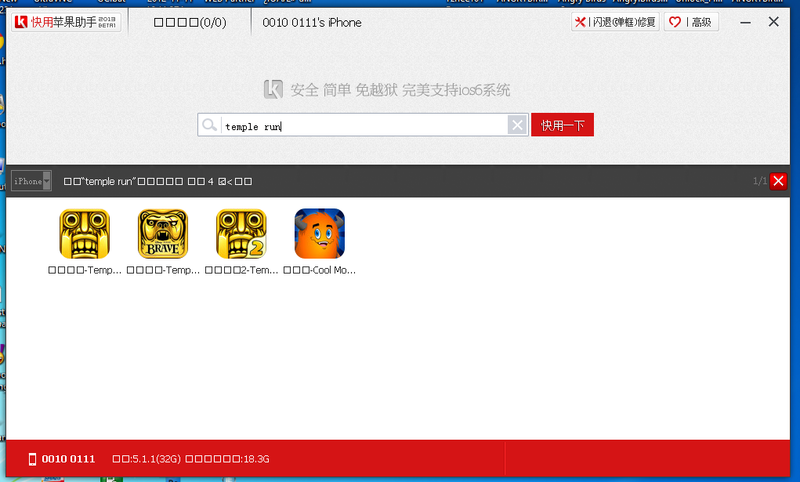 Search the Apps you want to install on your iDevice, See the image. Step 3. Click the Apps you want to install on your iDevice, See the image. 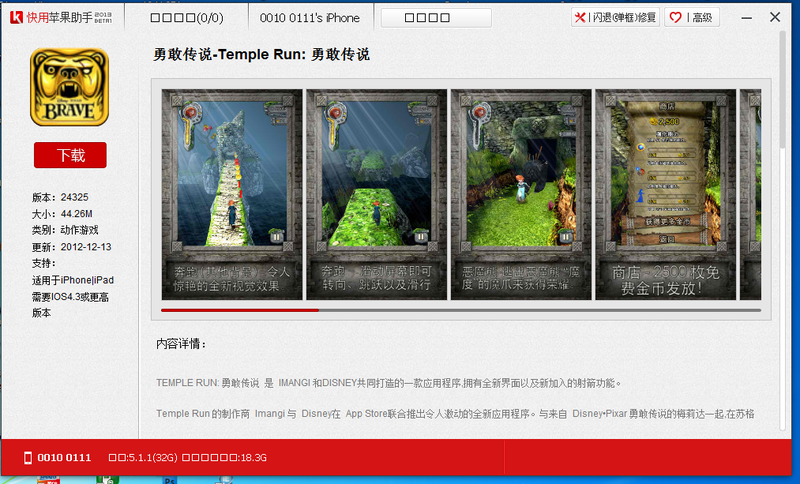 This time I want Temple Run Brave. Step 4. 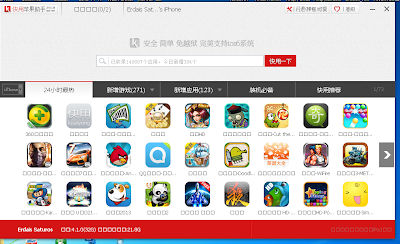 Click the Red Color Button below the App Icon to download the Apps. See the image. Step 6. When the Apps Finish from Download the Kuaiyong will Automatically Install the Apps on your iDevice. 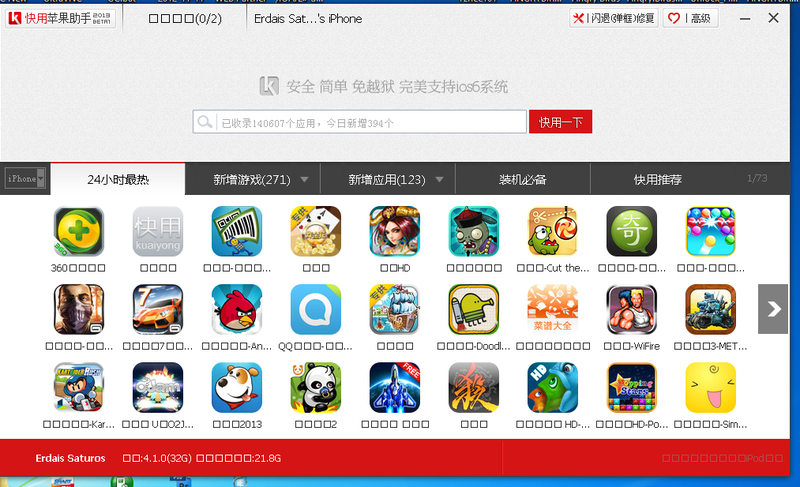 This time your apps has been installed, See the image. Please share this site to all your social networking, And do a comment. Hi. What will happen if, say, I decided to download an app from the iTunes and sync my iDevice AFTER I tried your software? When you buy an Apps or Download from iTunes then sync, Your Apps from Kuaiyong that you recently downloaded will still remain on your iDevices but it didn't transfer on your iTunes. how to uninstall the app thai ive downloaded? Just long press the app on your iDevice then thier is an X sign then tap it!! Then your done..
if you sync it to itunes your apps from Kuaiyong will deleted maybe, cause apps need appsync to sync it to itunes but sadly Kuaiyong dont have that.. I hope your question is answer! Please click Join this site at the left side..
increase traffic mo dito .. hehehe.. english version na ba talaga to?? After a while, it prompts me for my Apple ID and password. Alam ko kailangan lang i-ayos using the wrench tool, pero medyo hassle minsan kasi nagloloka habang nasa labas ako, away from PC. I jailbroke my phone using the Evaders jailbreak so I tried downloading Whatsapp from Vshare naman pero ayaw magopen yung app. Crash kaagad. Yung mga ibang apps na hindi downloaded from Kuaiyong and Vshare lang, gumagana naman. How to fix it kaya? That is the issue from kuaiyong mam i think they are now working how to fix it! Meanwhile i suggest install the iphonecake because u said u have already jailbroken ur phone here's a repo cydia.iphonecake.com/ add it to cydia and install iphoneake apps..iphonecake is a good alternative of installous, 25pp i have tuitorials how to install it..
sir bakit pag restart ko ung iphone 5 ko na 6.1.4 iOs eh nang hihingi ng apple ID sa mga downloaded apps from kuaiyong? How to Download and Install Kuaiyong App Store English on iOS 9, 9.1, 9.2, 9.3, 9.4, iOS 10 Without Jailbreak on iPhone, iPad. kuaiyong download ios 10.